A link to a file or PDF. Add content to the HTML module. Select or highlight the content you wish to link. You can add links to text or an image. 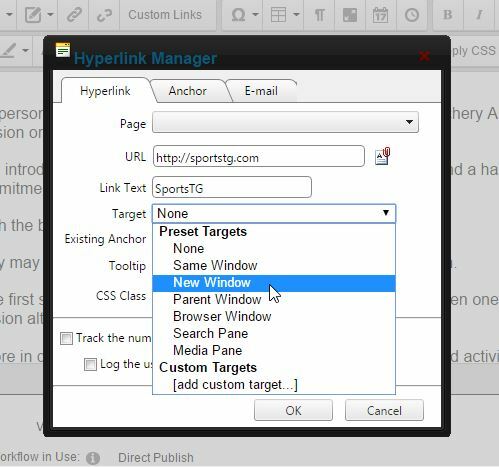 Select the Hyperlink Manager icon (link icon) in the top panel of the editor window. Select the page you wish to link to int he Page drop down menu. Add the content to the HTML module. Paste in the URL to your external page in the URL text field. Update "Target" to be New Window. This is so the link will open a new tab and users don't navigate away from your website. Select or highlight the content you wish to link. Select the Document icon to the side of the URL field. Select the tab "Target" select "New Window." 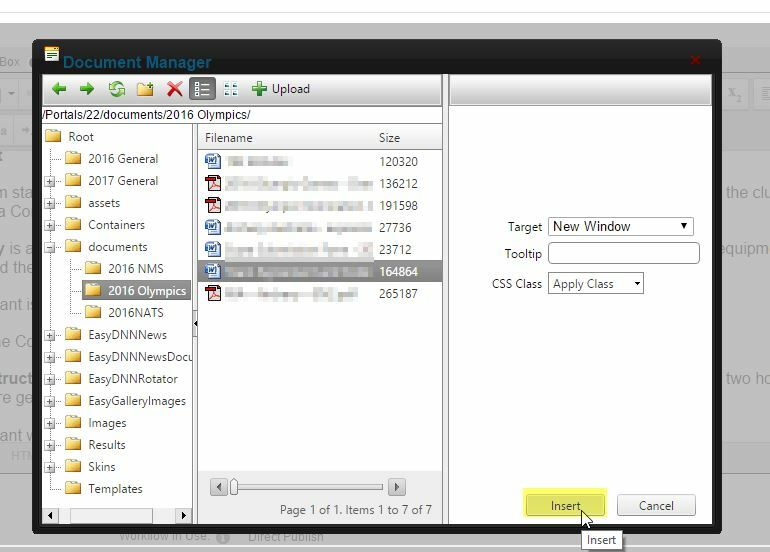 This is so the file will open in a new window when the link is selected and so users don't navigate away from your website.